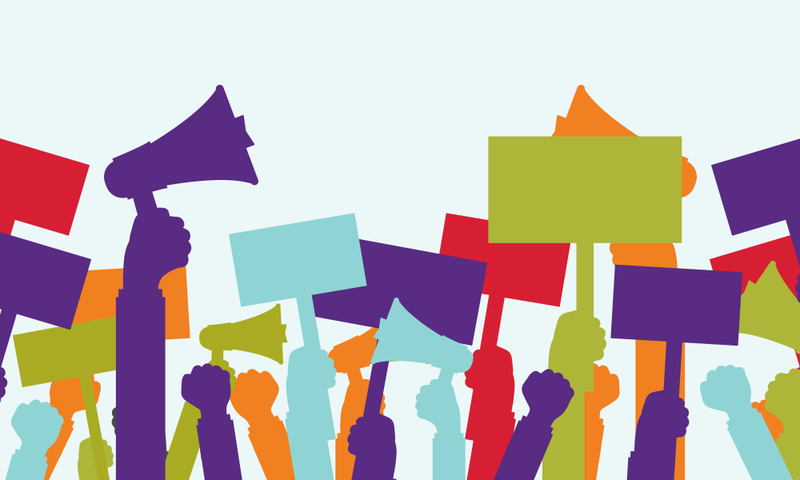 The digital age has ushered in a new era of social activism and political involvement, which has greatly affected the way consumers interact with brands. When taking a stance, brands can easily become subjects in the court of public opinion. Will their stance result in crisis or will they be applauded for their good intentions? After Colin Kaepernick first took a knee during the National Anthem on August 26th, in protest of minority treatment in the United States, there was a media frenzy and the public took to social platforms to express their dissatisfaction and support of Kaepernick’s actions. Fast forward two years and Kaepernick is still in the spotlight. Most recently, he became the face of the newest installation of Nike’s “Just Do It” campaign, “Dream Crazy.” In response, many customers burned merchandise in outrage and cries of boycott rang out across social media. Mayor Ben Zahn of Kenner, LA responded to the advert by imposing a ban on Nike apparel for the parks and recreation department, which was leaked on social media September 5th. Crisis ensued almost immediately, and the Mayor was blasted in a media maelstrom of national proportions. Gauge your audience. Kenner is home to a diverse population. 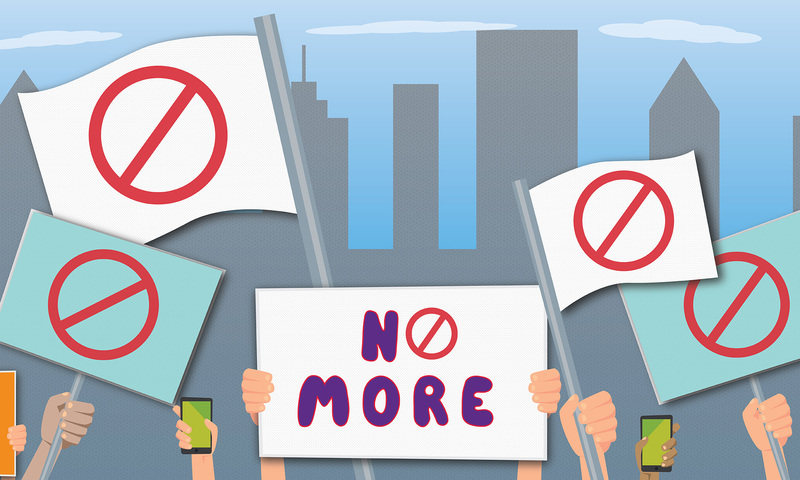 Many citizens were very outspoken about the memorandum and organized a protest within days. Community members and notable figures such as team members of the New Orleans Saints attended in solidarity. City council members and other local politicians also spoke out against the memorandum, sighting an infringement of basic rights. You must be cognizant of public sentiment when addressing a crisis because you want to ensure that your audience is receptive to your message. Be aware of your timing. The backlash against Mayor Zahn’s order was immediate. The memorandum was issued on September 5 and he rescinded the order on September 12th. After the original leak, the Mayor refused to comment any further when questioned by media. The response rate to public outcry was prompt but his original messaging did not steer the conversation in a positive direction. Formulate an appropriate response. It’s important to formulate a response that will resonate with your audience and change the conversation. Mayor Zahn initially responded by saying, “The memo speaks for itself.” This was followed by a public statement in which he defended the ban saying that taxpayer dollars would not be used to support a company that is “using their powerful voice as a political tool.” The public was not very receptive to this response. Mayor Zahn would have fared better if he had initially taken an apologetic tone as opposed to a defensive one. Nike, on the other hand, received a significant increase in sales, 31% as of September 7th, despite this apparent backlash. Featuring Kaepernick, a controversial figure, in their most recent ad was a bold move but Nike indubitably considered their timing, messaging and brand position before making this decision, allowing them to come out ahead. Ultimately Mayor Zahn rescinded his order on Nike apparel and products, stating “Acting upon advice of the city attorney, I have rescinded my memorandum of Sept. 5. That memorandum divided the city and placed Kenner in a false and unflattering light on the national stage.” While many are against the use of Kaepernick in the Nike ad it has yet to impact their sales/revenue negatively. This demonstrates how quickly the public is ready to react when public figures and companies take a stance on social issues. Taking a stance does pose some risk but with the right preparation, counsel and proper understanding of your target audience you can positively impact your brand. Want to learn more about crisis communication? Join our conversation by tweeting us @DEVENEYMKTG. As you may remember, in 2016, Oxford Dictionaries named “post-truth” as the word of the year, beating out noteworthy competitors such as “adulting,” “woke” and perhaps my personal favorite, “coulrophobia,” which refers to “the extreme or irrational fear of clowns.” So why, then, was “post-truth” 2016’s word of the year rather than one of its equally made-up-sounding opponents? Well, for starters, the word is still incredibly timely, even two years later. We may or may not be living in a world where what people want to hear matters more than what’s actually true. 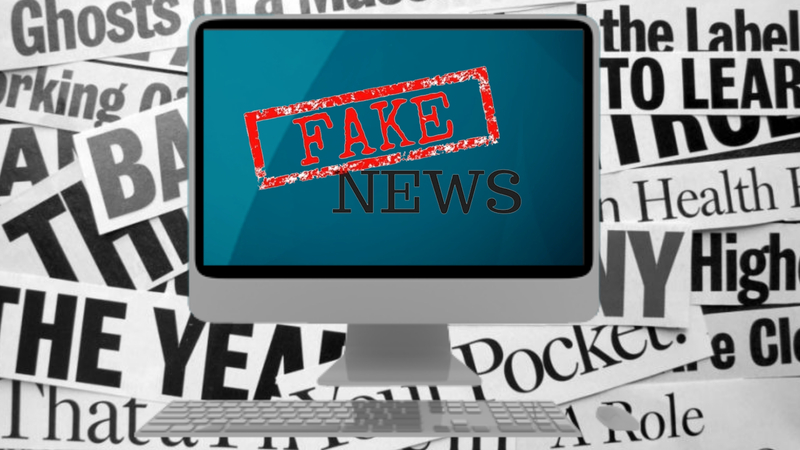 Some of you may recognize this all-too-familiar disconnect when you come across what we as a collective have started referring to as “fake news,” or a type of yellow journalism that deliberately propagates misinformation and hoaxes in order to mislead and increase readership. But why would posting false information increase readership? Good question. On the one hand, readership is already on the side of fake news with more than 80 percent of college students struggling to identify biased content from the facts. Basically, this means that nearly every college student surveyed may be reading fake news—at any given time—and not even know it. On the other hand, the way we get our news is changing, and unfortunately, it’s changing on the side of fake news. According to the Pew Research Center, 54 percent of U.S. citizens ages 18-29 use social networking sites (like Facebook, Twitter and Instagram) to get a daily download of trends and top headlines, while 69 percent of those within the same demographic use the Internet in a broader sense to get their news. In this situation, the “Internet” can refer to anything from USA Today to The Onion (yikes). But wait—while you’re falling back in your seat overtaken by shock and awe that anyone would think an article entitled “Bath & Body Works Now Offering Free Lotion Tastings” is real news—keep in mind that social media use among those with less than a bachelor’s degree increased to 69 percent in 2017. Those with lower education levels are especially vulnerable to the tricky and insidious nature of fake news, and what’s even worse? Those individuals are the top targets as well as the heaviest disseminators. Before you get too comfortable up on your high horse, remember that we’re all susceptible to fake news. How many of us have clicked on a sensational headline at the bottom of a webpage or while scrolling through Facebook’s newsfeed just to see what all of the hub bub is about? We’re human beings – it’s in our nature to be curious. Articles that pique our interest in this way are known as “clickbait,” and while their headlines go viral quickly and may seem harmless (if not humorous), sometimes real lives are caught in the balance. So, how can we escape the vicious cycle that is the fake “newsiverse” (2018’s word of the year, anyone? Oh, come on!)? As marketing, advertising and PR professionals, spotting and avoiding fake news is a necessary part of the job. The last thing you want to do is advise your retail client to offer free lotion tastings because The Onion said it’s trendy. 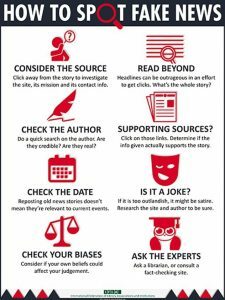 Below, you’ll find a step-by-step guide, courtesy of the International Federation of Library Associates (IFLA), that depicts how to vet all news sources for accuracy and objectivity. Have some of your own tips and experiences with fake news that you’d like to share? Tweet at us @DEVENEYMKTG or find us on Facebook here. No company ever wants to deal with a crisis, let alone a fatal one. However, the sad reality is that certain industries and sectors are high-risk and fatalities are just one of the many crises that could potentially arise. One of the most challenging things about a crisis is that innate reaction most of us have to deflect responsibility. None of us wants to be responsible for poor service, a defective product or, in this case, the death of a customer. 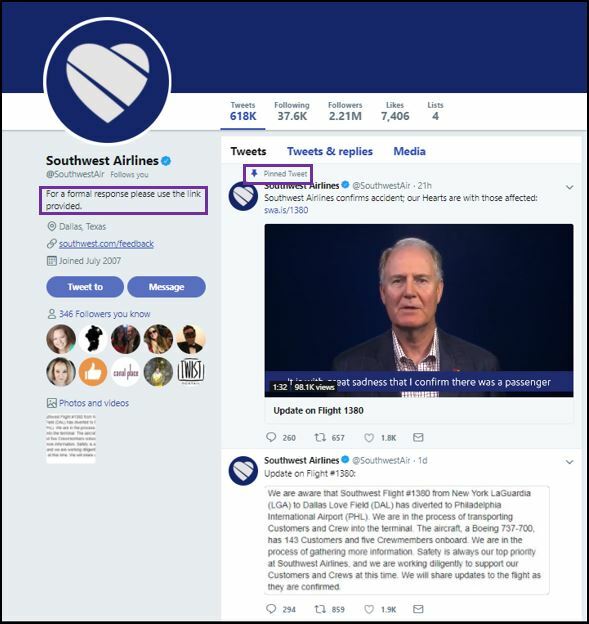 Southwest, however, took swift action and immediately took responsibility. The company issued a press release on their website at 12:04 pm, 41 minutes after Flight 1380 made the emergency landing in Philadelphia, PA. That response time is impressive. 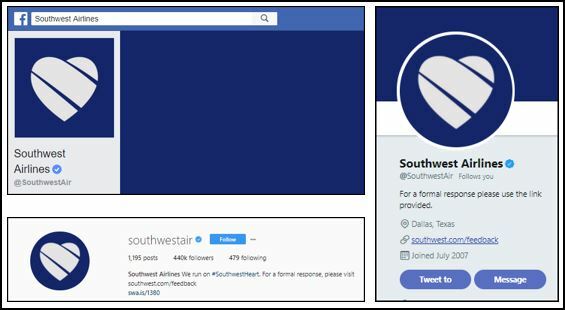 In addition to taking responsibility so quickly, Southwest Airlines also very quickly updated their social media profiles to reflect the severity of the situation. They changed their profile picture and cover photos to be more somber, while still maintaining their brand identity, as well as their bios to direct people to the press release. Additionally, they ceased posting to their social media with the exception of responses and customer service (which we’re about to get into) allowing for the news of the crisis to maintain top position of their feeds. Many times in a crisis, brands are tempted to bury a negative story by overcompensating with positive ones. 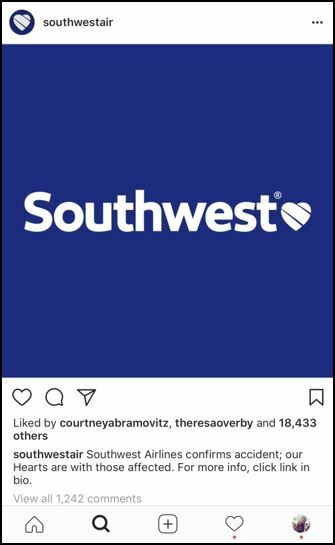 In this particular instance, Southwest refrained, which further enforces the seriousness of the issue to them. Even in the face of an unimaginable crisis like the one Southwest is dealing with, regular life continues to occur. In a service industry, people will always need support no matter what issues you’re dealing with. Sometimes, our natural response during a crisis is to cease all communication, of any kind, until things have blown over. Unfortunately, that isn’t always something you can do. 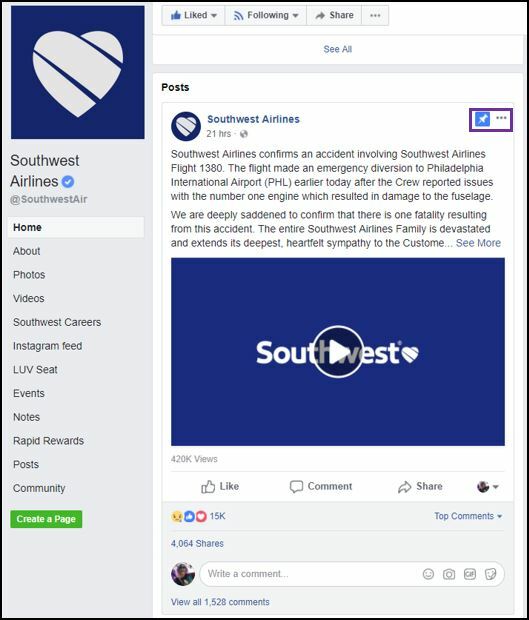 Southwest handled the situation well by ceasing their regular social media posting and focusing their narrative on the tragedy and the steps they are taking as a company to ensure it never happens again. That said, they did continue to respond to any customer service requests. This is incredibly important because it helped to maintain the reputation that they have for top-level customer service and care. Even while handling what I can only imagine is one of the worst crises in the history of the company, they managed to make all customers feel valued and heard. That’s hard to do. Additionally, they came up with clear messaging for instances where people specifically addressed the engine failure and fatality. They didn’t shy away from the crisis, they confronted it head-on, another thing that can be intimidating and difficult to do. Two days later, Southwest continued to provide updates to the public regarding the incident. This is another tactic that people tend to shy away from; it’s bad enough to admit you have failed let alone continue to talk about it. 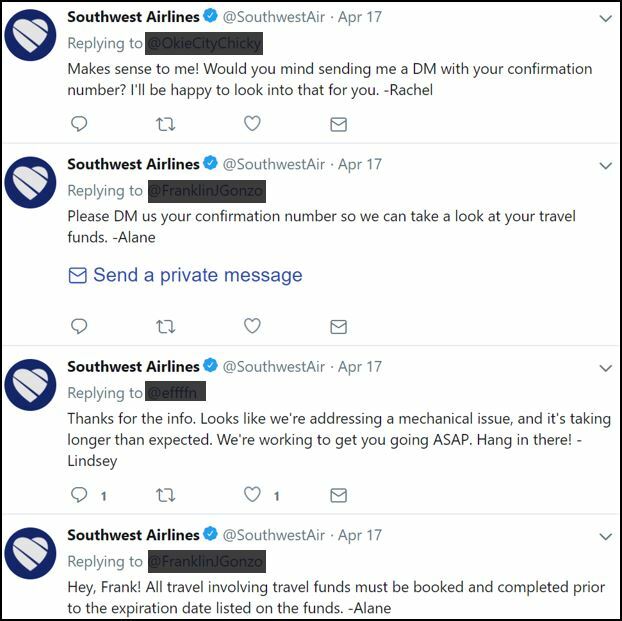 As a whole, we give major kudos to Southwest Airlines for how quickly, honestly and sincerely they addressed the tragic fatality experienced on one of their flights. And, while we all hope for the best we know that is smart to learn from their experience and prepare for the worst. 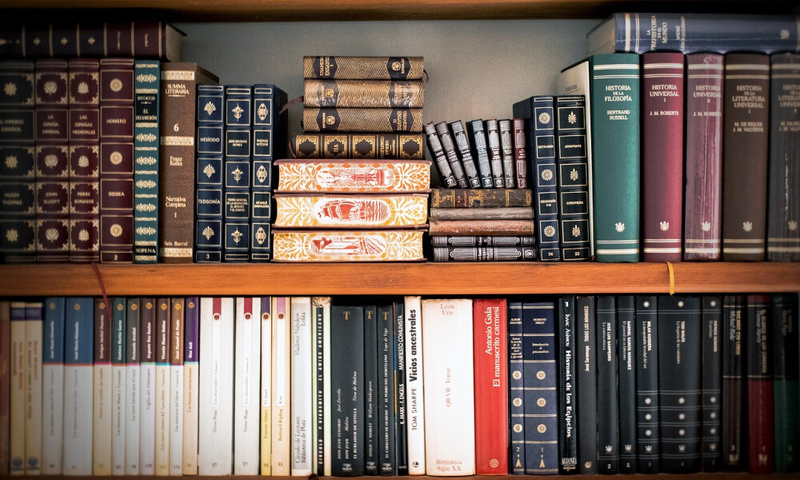 As public relations professionals, we have a number of tools at our disposal- these items make our business lives easier as we strive to deliver on the objectives set forth for our brands each year. 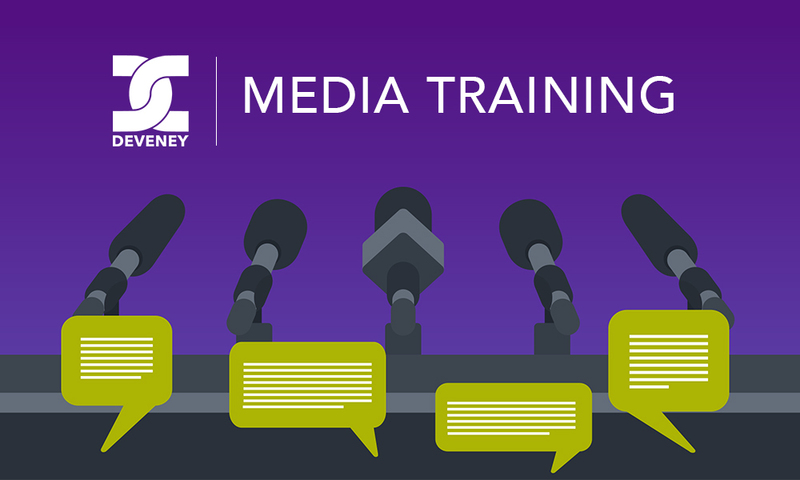 One tool that is often overlooked and sometimes considered unnecessary is media training. Often, media training is not something that comes to mind for a business until absolutely necessary. Media training IS necessary. Today, business leaders are expected to have the ability to easily navigate a media encounter- at times it is even considered a job requisite. But speaking to the media is not a skill that comes natural to most people, it’s a skill that needs to be practiced and honed. 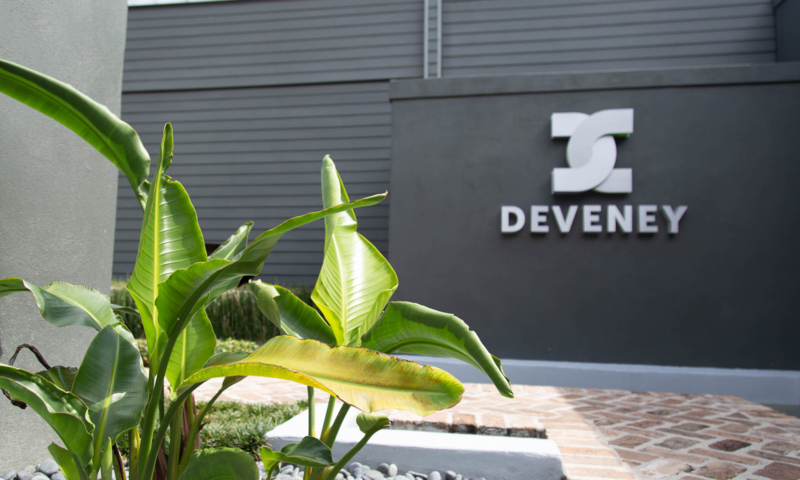 DEVENEY offers a media training that is best-in-class and covers a variety of methodology including interview simulations with a journalist and film crew. The DEVENEY method teaches attendees how to control an interview, stay on message, utilize body language effectively and avoid the pitfalls of an overly inquisitive reporter. Our training sessions are uniquely tailored to your business needs and we work in conjunction with your team to specifically target each spokesperson’s strengths and weaknesses in communicating key messages to the media. Other distinctive DEVENEY techniques include methods of messaging recall, weak language to avoid and tips for live interviews. After working through several media encounter simulations, trainees leave with a comprehensive binder of best-practices and tips, to encourage continued practice and improvement. We like to say that POISE comes with PRACTICE and our ultimate goal is to make training effective and efficient for you and your team. With October being National Cyber Security Month and on the heels of the recent Equifax breach, personal information security is an issue that most consumers are all well too familiar with. As a population we’ve become increasingly reliant on digital and mobile technology- things that we previously did in-person, like banking, is now more frequently done on our mobile devices. As consumers, we share our most private and personal information online and on our phones, so when a large breach occurs, like the issues that affected Target and Equifax, widespread sentiment towards these companies becomes unfavorable. With cyber security breach more prevalent than ever, how can a brand successfully navigate the inevitable fallout often associated with diminished consumer confidence? 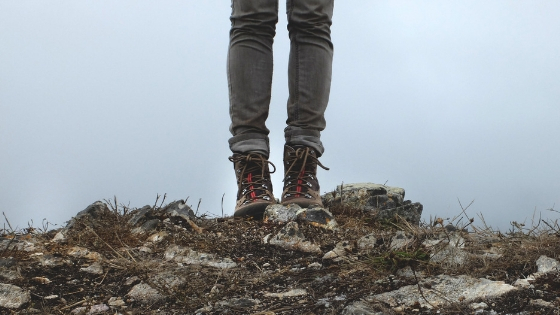 A comprehensive audit is often a good first step for brands dealing in secure information. 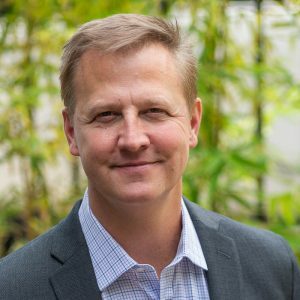 Determining where vulnerabilities might lie is necessary for creating a strategic crisis plan unique to your business needs. A tabletop exercise will walk participants through a hypothetical cyber-attack and expose senior leadership to the types of damage and immediate decision making that is needed in the event of a real security problem. Following the audit and table top exercise, a detailed response strategy is an essential tool to prepare yourself in the event of a breach. Elements might include a pre-planned customer response, internal communications, staffing plan, talking points, media releases and much more. Finally, consider preparing senior leadership for any potential crisis. A media training will take spokespeople through interview simulations and prepare them for handling the press. Maximizing control in an interview and staying message driven are key skillsets to master when all eyes are on a brand. While there are many considerations to take into account in the event of a cyber security breach, a proactive approach and preparedness are sure to provide a good first line of defense for any business. Is your brand prepared in the event of a security breach? 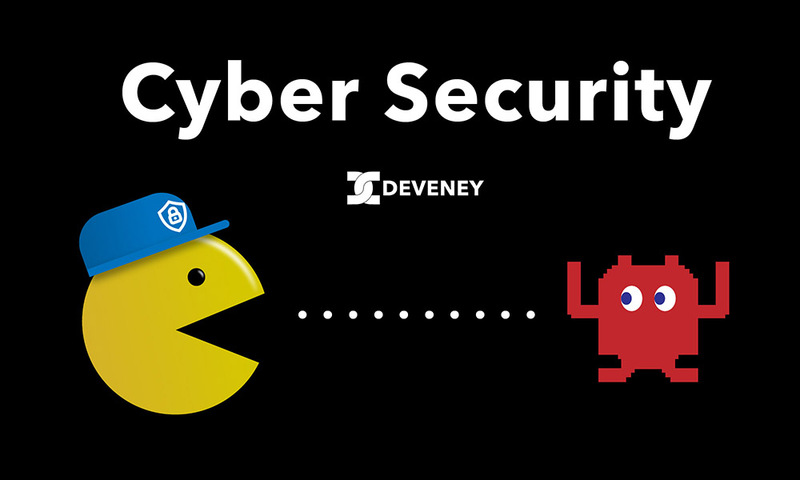 For more information on cyber security, tweet us @DEVENEYMKTG. Higher education clients experience a variety of issues that can prove challenging for an administration. Sensitive subjects like sexual misconduct, inclusion and diversity, student suicide, and overdoses are among the issues that today’s colleges and universities might face. And with today’s environment of immediate information share and unparalleled levels of transparency, higher education organizations need to have a proactive plan in place, should an issue arise. Preparation is the key to working through a difficult situation. At DEVENEY, we work with our higher education clients to prepare them with the tools needed to navigate through a variety of issues. From putting a communication team in place to developing the appropriate messaging, we work together and devise a strategy to not only address an existing crisis, but enable clients to manage a potential future reoccurrence. Assemble a crisis team. Based on the situation, this could include legal counsel, the university president, a public affairs member, a member of the board of directors or similar. Establish a crisis command center. This center might be a physical meeting space, virtual one, or a conference line with a protocol on how to quickly assemble and engage your crisis team. Identify critical audiences. These can vary greatly and could include students, media, alumni, faculty, administration, donors, campus neighbors and law enforcement officials. Develop messaging. Arming your spokespeople with key message points and thoughtfully crafted statements and updates is crucial for successful crisis management. Determine message delivery vehicle. Whether it’s a letter from the president, a statement to the media, conversations with affected students or a newsletter to faculty, the delivery method will be determined by the audience and situation. While it’s always a good idea to plan for potential crisis situations in advance, due to their nature, many are often unpredictable. With over 20 years of experience in dealing with crisis issues big and small, the experts at DEVENEY can help you stay ahead of a potential crisis, manage brand reputation and shape favorable outcomes. Want to learn more? 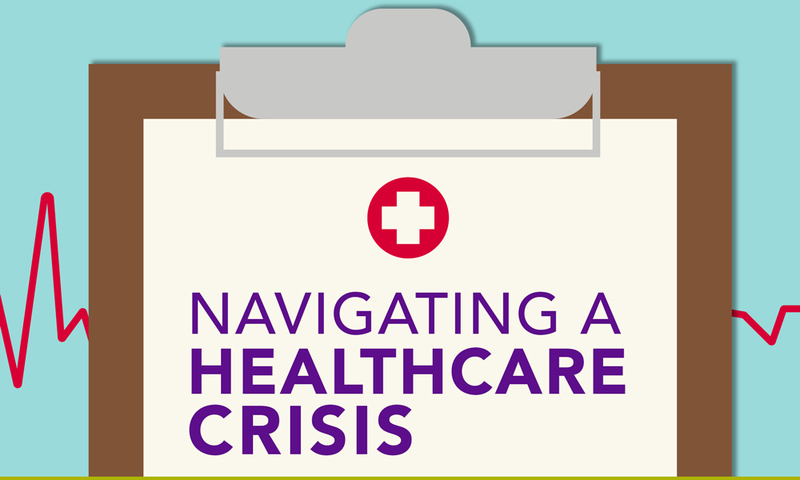 Tweet us @DEVENEYMKTG and let us know your crisis questions.